Bill Maher made ripples across the comic industry a few weeks ago as he trashed the medium immediately following the passing of former Marvel Comics publisher Stan Lee. The controversial political commentator ended up dismissing comics as an item for children, saying that it's all something that should be far removed from adults. The HBO personality went on Larry King Now this past week, where he double-downed on his prior blog post. Naturally, most individuals involved in the industry had something to say in response to the situation. Though Maher is fresh in mind, leaders and activists across the world have previously stated the importance of comics to an education. Keep scrolling to see some of the thoughts we've compiled. 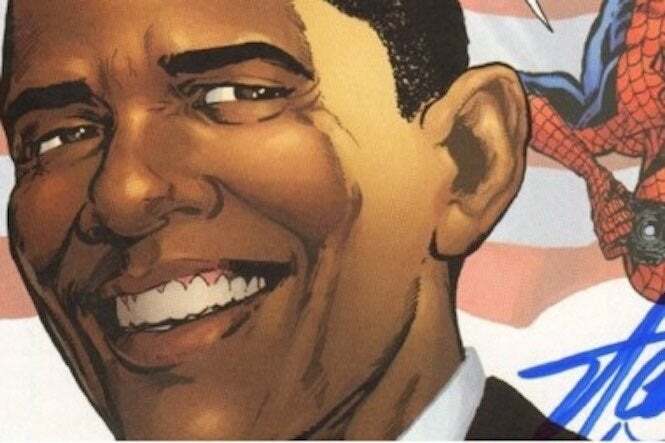 In 2013, then-President Barack Obama sent an e-mail out to activists encouraging them to share their "origin stories" with a non-profit organization in a contest rewarding the winner a trip to Washington D.C.
"I grew up loving comic books," President Obama wrote in the e-mail. "Back in the day, I was pretty into Conan the Barbarian and Spiderman. Anyone who reads comics can tell you, every main character has an origin story -- the fateful and usually unexpected sequence of events that made them who they are." Immediately following Stan Lee's passing, TMZ tracked down civil rights activist Rev. Al Sharpton, who spoke to Lee's themes of inclusion dating all the way back to the 1960s. "He dealed with many of the issues back in the 60s," Sharpton reflected. 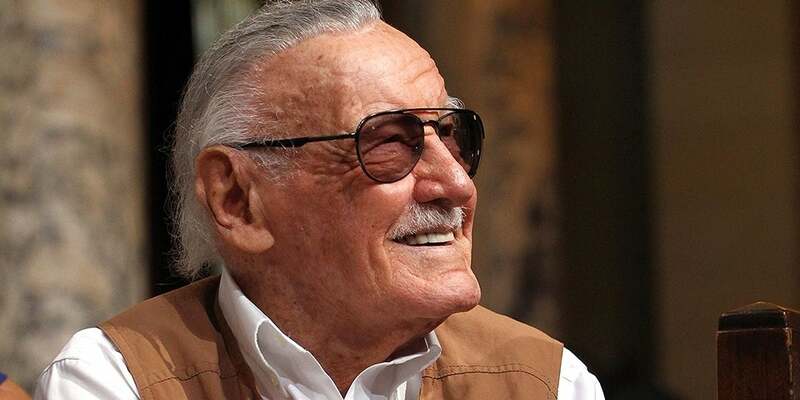 "You've got to realize Stan Lee wasn't a johnny-come-lately. He always dealt with inclusion, look at Black Panther, look at what he did with a lot of the comic strips." "He was an inclusive, die-hard person long before it became fashionable. He had a very passionate commitment about poverty, about people that were being marginalized and left out, and he had that to the end." 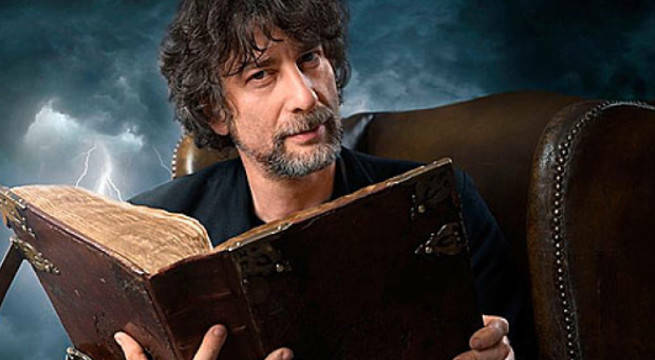 Fan-favorite author and screenwriter Neil Gaiman was one of the first to defend the industry immediately following Maher's remarks. While Gaiman did point out this country's First Amendment, he quickly dismissed Maher-backers that said comic books were nothing more than pictures. "Do you think all the books without pictures have gone away?" Gaiman tweeted. "They haven't. And Maher saying that comics and graphic novels aimed at adults are responsible for Trump getting in is still foolish." Long-time Batman producer and former comic book writer Michael E. Uslan wrote an op-ed for THR in defense of comic books. According to Uslan, he points out that each generation seems to find a medium to blame, saying Maher's attack was "borne out of ignorance." "Society is always on the lookout for a cultural target for finger pointing when the establishment has issues, especially generationally with its youth," Uslan wrote. "In the '50s, comic books became the easiest target to blame for the post-World War II rise of juvenile delinquency in America because certainly, society never believes anything is the fault of the establishment, itself, nor its parents, teachers, clergyman, politicians, etc. So in the early '50s, comic books were mounted on the cultural crucifix." There's perhaps nobody better suited than Stan Lee himself to show how comics are important. In a Stan's Soapbox posted in Marvel comics in the late 60s, Lee wrote a poignant editorial on "social ills plaguing the world." "Let's lay it Let’s lay it right on the line. Bigotry and racism are among the deadliest social ills plaguing the world today. But, unlike a team of costumed super-villains, they can’t be halted with a punch in the snoot, or a zap from a ray gun. The only way to destroy them is to expose them — to reveal them for the insidious evils they really are. The bigot is an unreasoning hater — one who hates blindly, fanatically, indiscriminately. If his hang-up is black men, he hates ALL black men. If a redhead once offended him, he hates ALL redheads. If some foreigner beat him to a job, he’s down on ALL foreigners. He hates people he’s never seen — people he’s never known — with equal intensity — with equal venom.